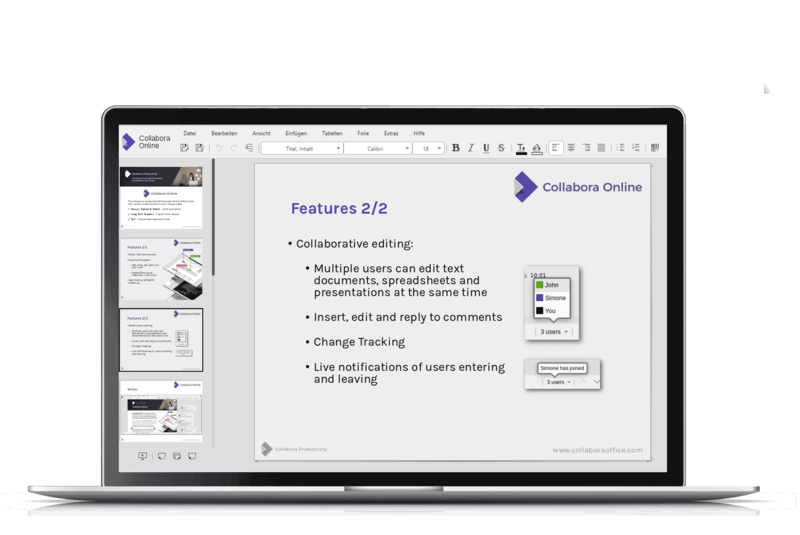 With the new EGroupware Version 17.1, Collabora Online is integrated into EGroupware. The documents are processed exclusively in the browser (Chrome or Firefox). It is no longer necessary to install a local office program. The ability to edit different texts or tables together in real time is a real enrichment for EGroupware users. You collect your data in EGroupware, use templates with placeholders and insert the content into your documents. 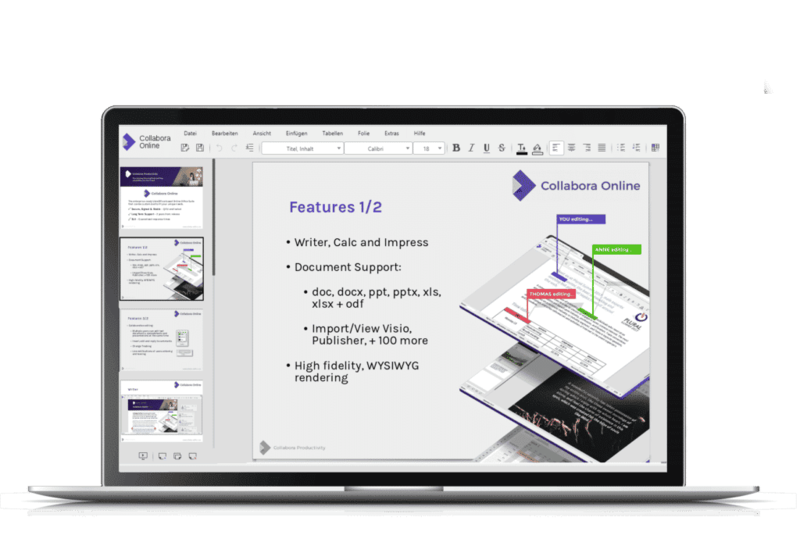 Further processing or saving as PDF takes place directly in Collabora Online. 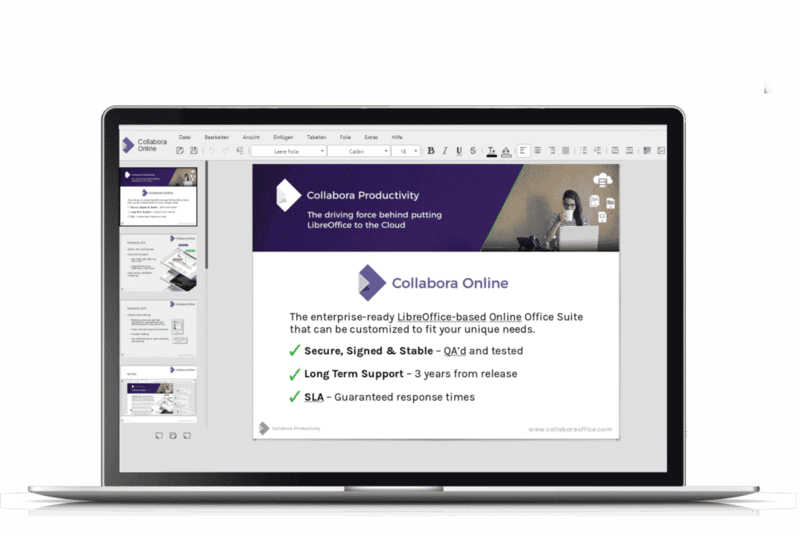 Collabora Office is the powerful LibreOffice-based online enterprise office suite with collaborative editing functionality. This browser based online office suite supports all major document types as text documents, spreadsheet and presentation files. All you need is a modern browser like Chrome or Firefox. 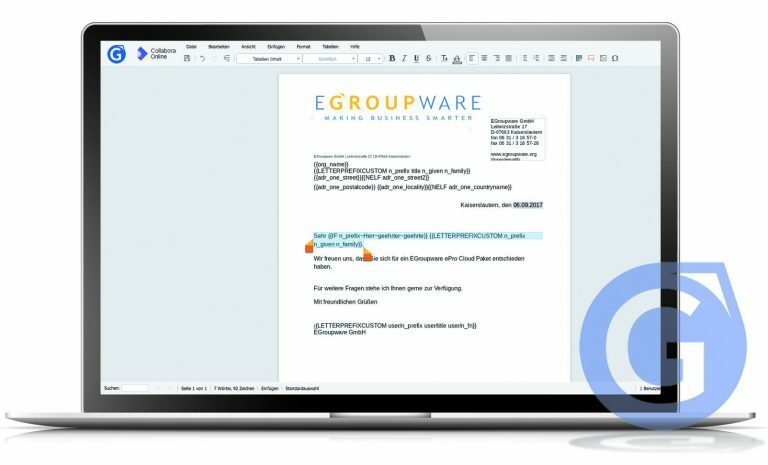 EGroupware users can work with different devices on the same document in real-time. Collabora Online is actively developed and a lot of new features and improvements will come soon. 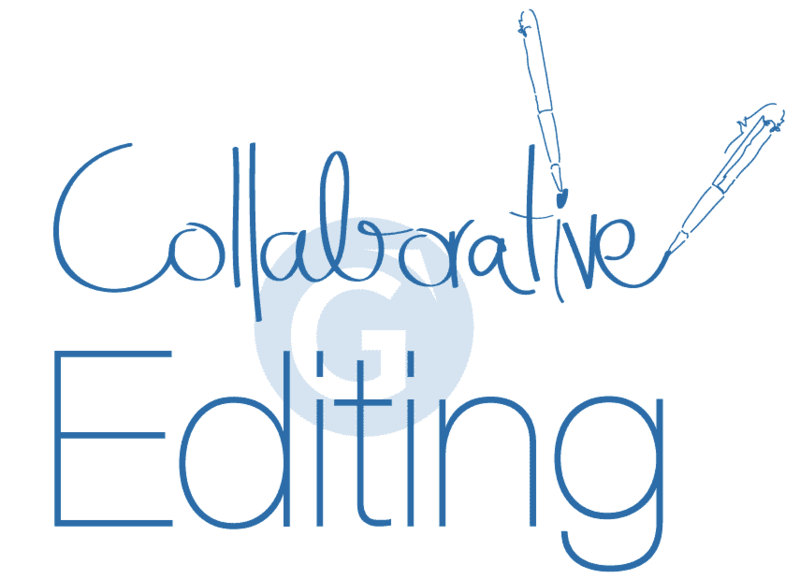 Getting collaborative editing to work is really easy. Start editing documents with your colleagues or partners in real-time! Write to-do-lists or customer informations together. Write with your colleagues, fellow students or friends, all working on the same document at the same time. No more sending your documents back and forth via email. 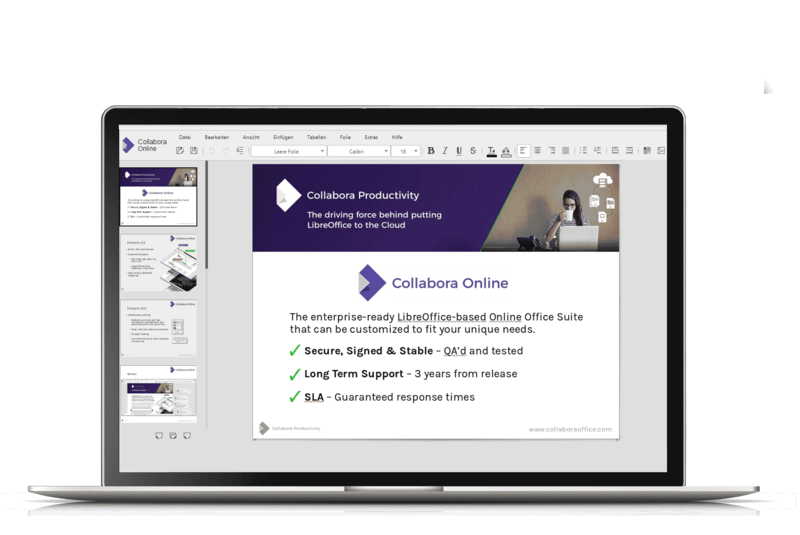 EGroupware CE requires Collabora licenses for all users who want to use this online office solution. EGroupware cloud customers receive the same number of Collabora users as they have concurrent users in their cloud package. EGroupware Flatrate or EGroupware Universal License customers please contact our sales team about an individual agreement. We offer two different concepts for the operation of a Collabora Office Server. If you want to run your own Collabora Server, it is sufficient to purchase a Collabora Software license. You will be responsible for the installation and server operating. Alternatively, we offer a Collabora server in the EGroupware Cloud. 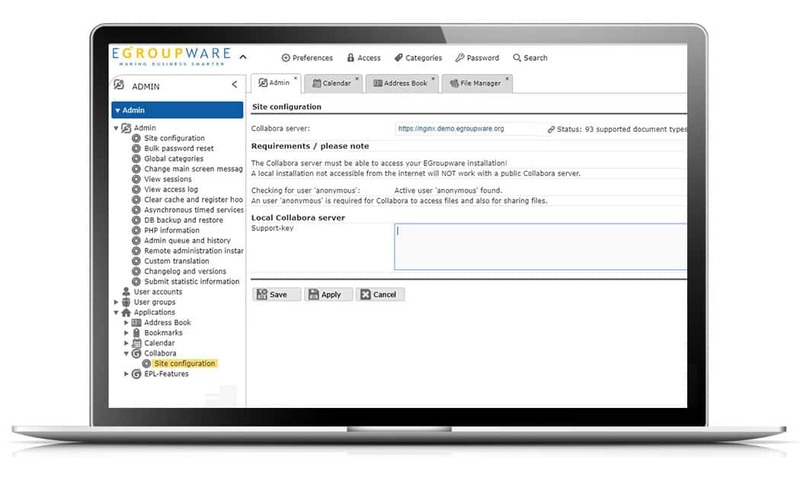 You can connect your existing EGroupware EPL or CE with our Collabora Server in the EGroupware Cloud. If you are already a customer of EGroupware Hosting and you need more users, it is sufficient to buy only additional Collabora Software licenses. For EPL customers there is now a Collabora package available to be installed on your own server. The packages are only available for the following two distributions and webservers. It will install two containers “collabora-key” and “collabora-watchtower”. The watchtower will check for updates at 4:00 am daily and install them, if a new Collabora version is available. After the installation you need to change the Collabora server to use the same URL as your EGroupware (under Admin >> Applications Collabora: Server without a path and trailing slash e.g. https://domain.com)! After applying the changes, it will show the amount of supported document types. For a secure connection via https, Collabora requires official certificates either created with LetsEncrypt or bought from an official certification centre. It will not work with self signed certificates. Additionally, the configuration requires that EGroupware internally and externally uses the same URLs to not run into configuration problems. You can copy your licence code directly into EGroupware. EGroupware is available as a cloud service provided by our computing center in Germany. Individual server implementations for Linux environments are available on base of EGroupware‘s installation packages.